Are these the innovations that will save us from climate change? It’s been a significant – some would say terrifying – year for climate data. Soaring temperatures have pushed planet Earth to its hottest period in recorded history; August 2016 was the warmest August on record and was tied with July 2016 as the hottest month since record-keeping began 136 years ago. 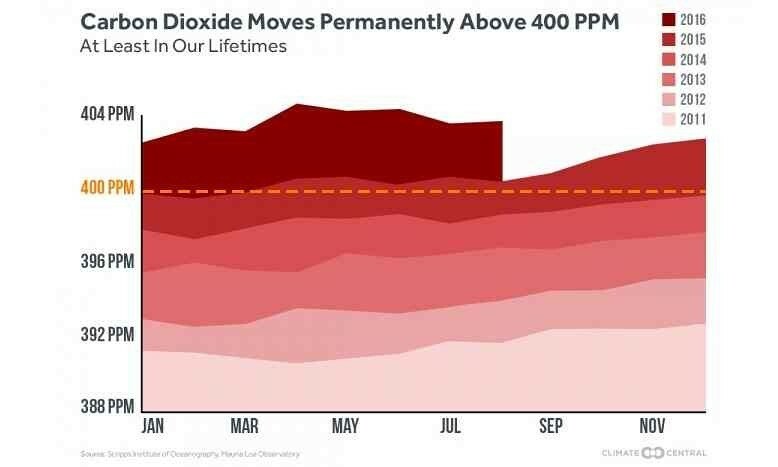 We are now living in a new “climate change reality”, with levels of carbon dioxide in the atmosphere having breached a symbolic threshold of 400 parts per million on average throughout the whole of 2015. Scientists warn that concentrations of CO2 are unlikely to dip below this mark for generations. 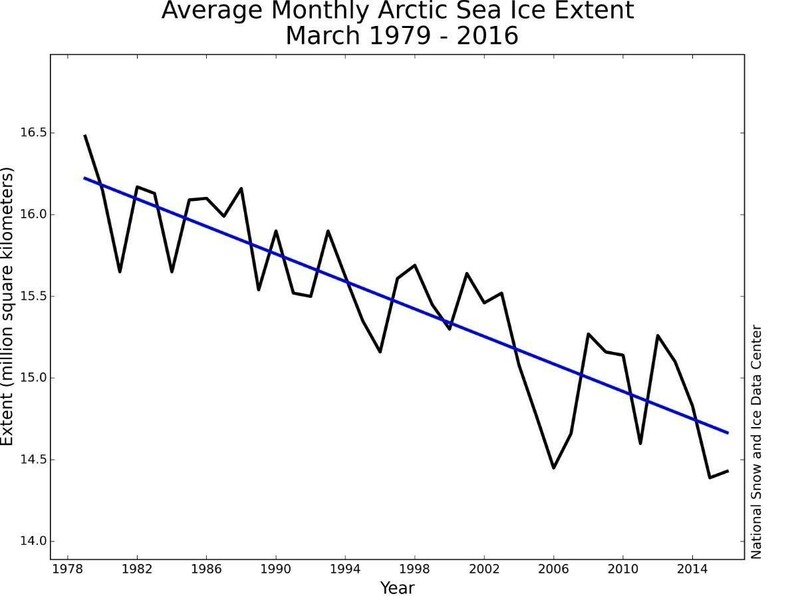 Elsewhere, the Arctic experienced its warmest winter on record and the region’s ice sheets are disappearing faster than expected, with repercussions that go beyond environmental risks like rising sea levels. 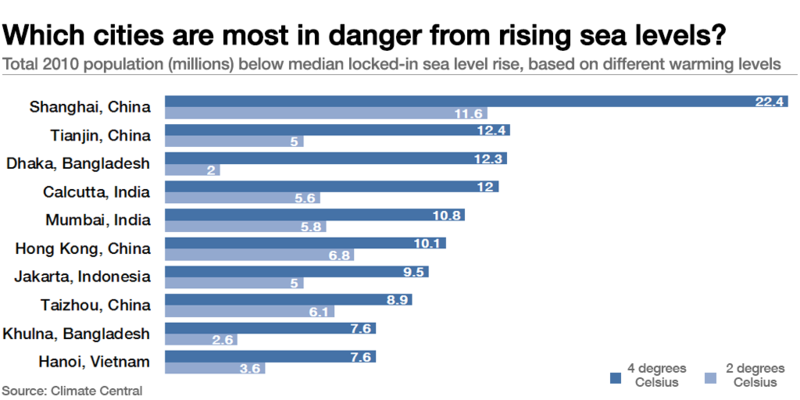 As two Arctic experts opined in this recent piece: “We live in a connected world, and what happens in the Arctic does not stay in the Arctic.” Societies and economies are also at risk, they argue. 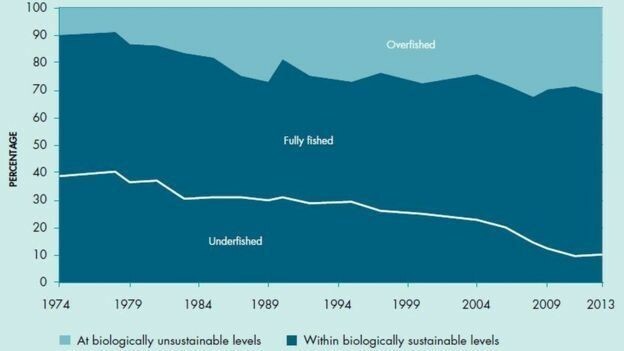 Our oceans aren’t faring much better. A recent report found that, based on current trends, there could be more plastic in our oceans than fish by 2050, the Great Barrier Reef remains on life support and, according to a WWF report, the amount of fish, sea birds, whales and other marine species has been reduced by as much as 50% in only 40 years. Air pollution, meanwhile, is killing 18,000 people every day. The WHO attributes 6.5 million deaths a year to pollution – more than the number of people killed by HIV/AIDS, tuberculosis and road injuries combined. In fact, it’s now the fourth-largest threat to human life (behind high blood pressure, poor diet and smoking). Everywhere you look, the message is clear – we must act now to avoid environmental disaster. Last year’s landmark Paris Agreement and the adoption of the Sustainable Development Goals showed that the political will is there to tackle one of the most pressing global challenges of our time. But it will take more than government action alone to help countries meet the pledges of the Paris Agreement and to reverse some of the worst effects of climate change. Radical ideas, ground-breaking innovations and new (greener) business models will all be required if we are to clean up our air, replenish our oceans and stop global warming in its tracks. This series of articles showcases some of the big ideas that are at the forefront of the fight against climate change. From turning carbon emissions into plastic and recycling everything we use, to climate-friendly urban development and finding a replacement for red meat, are these the solutions that could save our planet from climate catastrophe? We’ve known for decades that excess greenhouse gas emissions are damaging our environment and causing global warming. And for the past 13 years, Mark Herrema, Co-Founder and CEO of Newlight Technologies, has been looking for a solution. Now, his company is hoovering up these emissions, combining them with air and turning them into a plastic-like material called AirCarbon. “No oil. No fossil fuels,” he writes in this article. “Just air and captured carbon emissions that would otherwise become part of the air, combined. Turning pollution into plastic isn’t the only innovation set to change the way we consume commonplace products. Gill Cassar, Programme Lead, Environment and Sustainability at the World Economic Forum, examines five everyday products that could soon be made with extraordinary things. “Take a look around you. Many of the products you see were made using industrial processes that are at least a century old. That is set to change,” she writes. We’re well accustomed to separating our paper, plastic and aluminium products from the rest of our trash so it can be recycled. But in an age when it’s possible to recycle everything we produce – why aren’t we doing it? Tom Szaky, CEO of TerraCycle, a company which specializes in the recycling of hard-to-recycle waste (such as cigarette butts, pens, water filters, used toothbrushes and even dirty diapers), addresses this question in his article for our series. 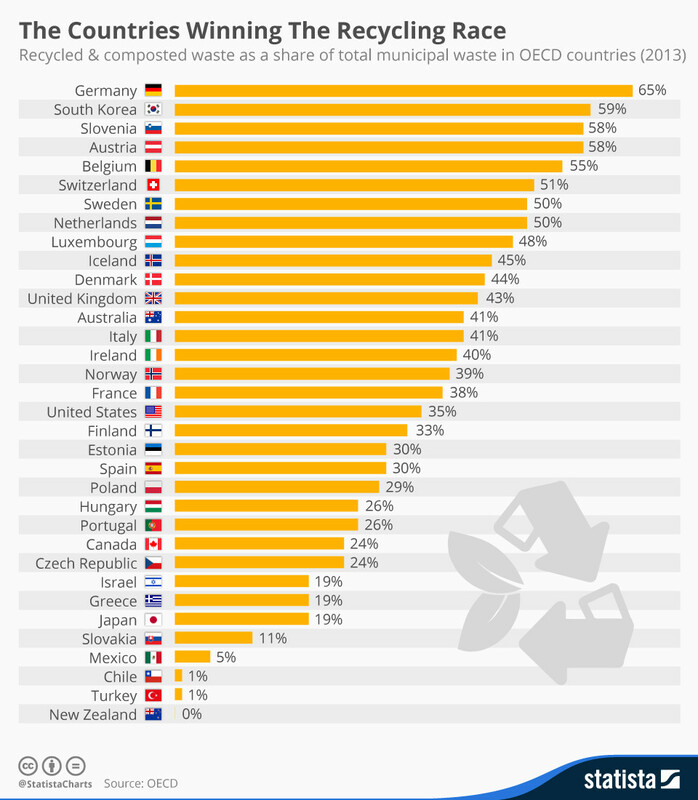 Szaky argues that while recycling is empowering to consumers, recycling rates have stagnated in the past decade and not enough is being done to close the “green-gap” between values and actions. “Economics, not high science, is what determines recyclability: a material is recycled only if one can make money collecting, sorting and recycling it,” he says. With 7.6 billion tons of solid waste created each year in the US alone, the implications of not closing this gap are dire – for all of us. Our cities cover just 2.6% of the world’s surface area, but by 2050 around 75% of us will be living in one of them. This places our urban areas firmly on the front-line of climate change, as well as an extraordinary amount of responsibility on the shoulders of city planners and elected officials. “The massive concentration of people in cities over the coming decades – especially in Africa and Asia – will almost certainly exacerbate traffic congestion, worsen air quality and increase amounts of waste,” writes Robert Muggah, Research Director at the Igarapé Institute. But while cities are undoubtedly part of the problem, they will also play a key part in any solution to preventing climate change and mitigating its effects. Thankfully, enlightened leaders in some cities around the world are already taking action and turning things around – easing congestion and reducing emissions while simultaneously attracting highly skilled workers and growing their economies. Let’s hope the rest of the world is paying attention. What can we learn from China’s war on pollution? Quite a lot, actually, says Changhua Wu, Director of China and Asia at TIR Consulting. Progress has been made: concentrations of air pollution have been declining and China leads the world in spending on renewable energy but, as a glance at the sky on any typical day in Beijing will tell you, there is still much to be gloomy about. Elsewhere in our series, we’ll take a look at how our meat-heavy diets are devastating the environment and what the possible alternatives could be, whether tax-relief for repairing goods helped to tackle one European country’s “throwaway culture”, the innovations that could remove plastic from our oceans and end our dependence on the harmful material – plus a whole lot more. Follow our climate change series here.